Caribbean hotels and resorets across the region are offering special deals as the holidays approach. Here's a look at the big-time savings that can be had if you think ahead and book for later right now. The Westin St. Maarten Dawn Beach Resort and Spa is offering guests who pay one night at the regular rate 40 percent off the next night. The offer applies to arrivals any day of the week, with a minimum two-night stay through April 30, 2014. Regular rates start at $209 per night, double occupancy. On St. Thomas, U.S. Virgin Islands, Bolongo Bay Beach Resort is offering a month-long “national Hangover Day” special for all of January 2014 featuring 20 percent off ocean-view accommodations, free stays for the third and fourth adults ages 18 and older in a room with two full-fare guests, and that's just to start. You'll also get one “hair of the dog” complimentary rum punch and bottle of local Cruzan rum upon arrival and one cruise for up to four guests on board the resort’s 53-foot catamaran (a $55 per person value). The offer is available with stays of five nights or more; daily rates start at $370.36 per person for up to four adults. Tobago’s Magdalena Grand Beach & Golf Resort is offering an Early Booking Bonus featuring a 15 percent off nightly rates on reservations made by Jan. 31, 2014 for travel from January 5 to April 30, 2014. Under the promotion nightly rates start at $115 per person, per night, double occupancy for reservations in a deluxe oceanfront room. Rates include an elaborate daily breakfast buffet. In addition one child up to age 12 can stay free-of-charge when sharing a room with two paying adults. 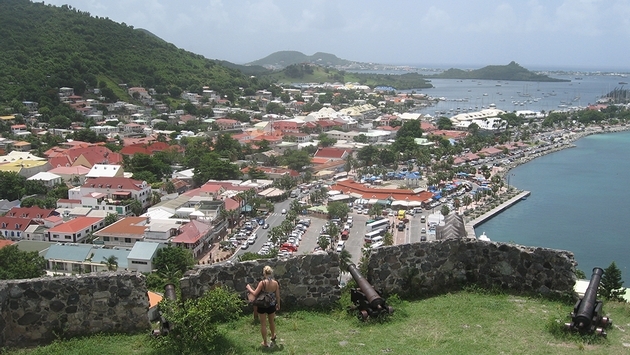 St. Lucia’s Capella Marigot Bay is offering a “Christmas Early Bird Special” featuring a complimentary Christmas Day stay for guests who book five-nights stay from December 20 through Jan. 5, 2014. Rates begin at $450 per night and include complimentary daily breakfast for two.